Israel In Prophecy » KeyIssues/Who is a Jew? Who Is Israel? Who is a Gentile?? Who is a Jew? Who Is Israel? 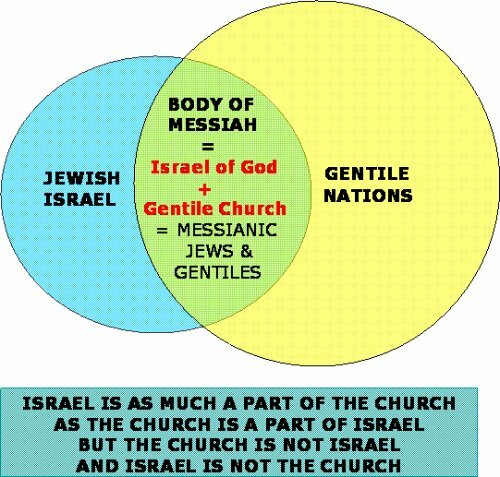 Who is a Gentile? 39 "For the promise is for you and your children and for all who are far off, as many as the Lord our God will call to Himself." 11 Therefore remember that formerly you, the Gentiles in the flesh, who are called "Uncircumcision " by the so-called "Circumcision," which is performed in the flesh by human hands-- 12 remember that you were at that time separate from Christ, excluded from the commonwealth of Israel, and strangers to the covenants of promise, having no hope and without God in the world. 13 But now in Christ Jesus you who formerly were far off have been brought near by the blood of Christ. 9 . avoid foolish questions, and genealogies, and contentions, and strivings about the law; for they are unprofitable and vain. 3 For I could wish that I myself were accursed, separated from Christ for the sake of my brethren, my kinsmen according to the flesh, 4 who are Israelites, to whom belongs the adoption as sons, and the glory and the covenants and the giving of the Law and the temple service and the promises, 5 whose are the fathers, and from whom is the Christ according to the flesh, who is over all, God blessed forever. Amen. 6 But it is not as though the word of God has failed. For they are not all Israel who are descended from Israel; 7 nor are they all children because they are Abraham's descendants, but: "THROUGH ISAAC YOUR DESCENDANTS WILL BE NAMED." 8 That is, it is not the children of the flesh who are children of God, but the children of the promise are regarded as descendants. 15 For in Christ Jesus neither circumcision availeth any thing, nor uncircumcision, but a new creature. 16 And as many as walk according to this rule, peace be on them, and mercy, and upon the Israel of God. Our Conclusion In light of the evidence that Jewish identity is not independent from Israel's historical dealings with the Lord, we must restate strongly that Jewish identity and Israel's national preservation, calling and inheritance in the Land originate in God and God alone. manifest godly zeal with their example of unity and mutual blessing within the body. We are 2 house believers in Messiah we are in the North Bay ON. Thank you so much for this site that you have designed.